Please join Gala Tri-Chairs Kristin Hurd, Greg Battaglia and Gary Hilbert for the 2019 HRC Greater NY Gala. This annual event brings together over 1,200 of the Tri-State area’s most influential leaders to celebrate the LGBTQ community’s successes and further engage in the important and crucial work of the Human Rights Campaign. With so much at stake, the time is now. NEED A “LYFT” TO THE GALA? HRC National Corporate Partner Lyft has generously offered 20% off each of two rides to and from the HRC Greater New York Gala. Don't forget to sign-up to Round-Up and Donate to benefit the Human Rights Campaign. To redeem this coupon and save on your ride to the dinner, please visit https://www.lyft.com/invite/hrcny2019. After signing up with your phone number, you will receive a text message with a link to redeem the discounted rides. This is for new and existing Lyft users. Limited quantity available. 20% off your next 2 rides. Max savings of $5 per ride. Discount applies to the fare and Prime Time charges only. Valid until 2/4/19. Pickup or drop-off must be within the coverage area. Cannot be combined with other ride credit or offers. Subject to Lyft's Terms of Service. 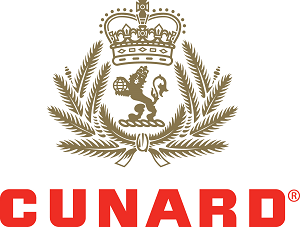 Luxury cruise line Cunard will offer a Transatlantic Crossing in a Princess Grill Suite aboard flagship ocean liner Queen Mary 2. 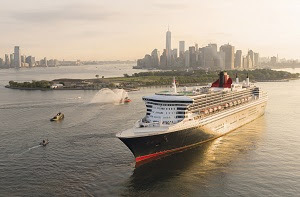 Queen Mary 2 is the only true passenger ocean liner afloat, and she is also the only ship at sea to offered regularly-scheduled service across the Atlantic from New York to London. Those on a Westbound Crossing from London to New York will have the exquisite opportunity to watch the sun rise over the Statue of Liberty as the ship sails into the New York harbor. Princess Grill Suites are some of the most elegant suites at sea, offering space and privacy for maximum relaxation to enjoy the journey and time away from the harried, busy life we all lead. A Princess Grill Suite elevates your voyage to a whole new level of indulgence. Savor exquisite food in the dedicated Princess Grill Restaurant, spacious suites, and a private Grills Lounge, Courtyard and Terrace. The offer is subject to availability for passage between April-June or October-December in 2019 or 2020. Must be booked by February 2020. The most stylish name in home furnishings wants to make your home a more comfortable place! Longtime HRC National Partner, Mitchell Gold + Bob Williams is offering bidders a chance to win a $7,500 gift card at one of their signature store locations. Redeem gift card at any Mitchell Gold + Bob Williams Signature Store in the continental United States. For a location near you, please visitmgbwhome.com. You will be responsible for any applicable sales tax. This is not a credit / debit card and has no warranties express or implied. Mitchell Gold + Bob Williams is not responsible for any lost, stolen or damaged cards or any unauthorized card use. Card is redeemable for merchandise only and cannot be redeemed for cash. Card may not be used to make any payments on any charge account. Card expires 2/2/2021. Take advantage of 440,000 AAdvantage® miles from HRC National Corporate Partner American Airlines. Enough miles for a pair of ANYTIME Level 1 RT Business Class Tickets to Europe/South America, this package includes Five Star ServiceSM and Admiral's Club® Access. Taxes and fees responsibility of traveler. 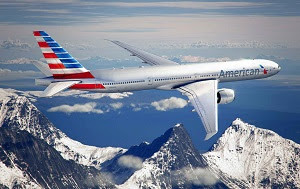 Miles must be deposited into an active AAdvantage® account by 2/3/2020. BECOME A TABLE CAPTAIN - INVITE YOUR FRIENDS! The backbone of ensuring a successful, well-attended Gala each year are our Table Captains. As the official recruiters and promotors for the Gala, we partner with our Table Captains to help spread the word about the work of HRC in order to spend an inspirational evening surrounded by friends, family and colleagues in the name of equality. Any individual, partners/couple, affinity group, or charity group can serve as a Table Captain. Each table can seat a maximum of 10 guests. Contact us today to sign up to be a Table Captain, and start putting together your guest-list. Remember, Table Captains are not financially obligated to fill the table. As a "thank you" for helping support the drive for equality, Table Captains are listed in Gala advertisements, invitations and program books. To sign up to become a Table Captain, please emailtablecaptains@HRCGreaterNY.org. THANK YOU TO OUR 2019 GREATER NY GALA SPONSORS! For more information on the Gala including how to become a sponsor, volunteer on the committee, or donate an auction item/service, visitHRCGreaterNY.org. NEED YOUR SHOES SHINED BEFORE THE DINNER? Dapper, an on-demand shoeshine pickup and delivery service, has offered a free shine to anyone who is going to the HRC Greater NY Dinner. Simply apply code HRC at checkout in their iPhone app DapperNYC. Find us on Facebook, Instagram and Twitter @HRCGreaterNY! The Gala would not be a success if it weren't for each and every volunteer. From exciting pre-Gala events, to onsite setup and execution the night of the Gala, over 100 volunteers come together to roll up their sleeves and make the Gala a historic - and fun - event. The opportunities to volunteer vary, so there is something for everyone.